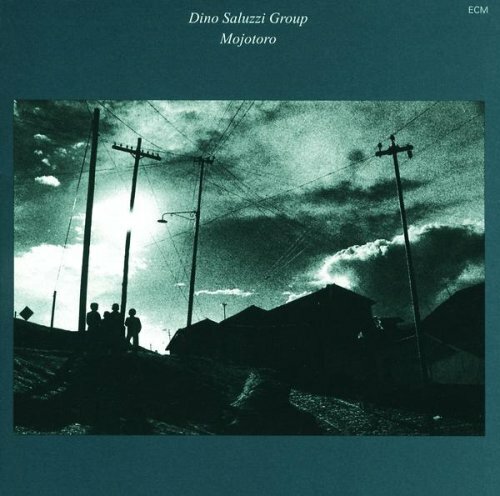 On this wonderful date from the early 90s, Dino Saluzzi joins brothers Celso (doubling Dino on bandoneón), Felix (on saxophones and clarinet), and drummer José for a true family effort. Fleshed out by guitar, bass, and percussion, the so-called Dino Saluzzi Band strikes out with a solid session from start to finish. Even in such a populated setting, Saluzzi’s characteristic backward glance is as intimate as ever, threading every needle on the horizon with voices from a valued past. His bandoneón bubbles from a fissure of memory as Felix’s gravelly tenor waxes mythic across the plains, but finds its purest sentiment in “Tango a mi padre.” One of my all-time favorite Saluzzi songs, this time it is augmented by a buttery soft soprano. This segues into “Mundos,” which finds Felix back to tenor over rolling hills of percussion and reedy drones. “Lustrin” is circumscribed by singing children, drawing us into a wall of nostalgia, at the center of which stands the personable guitar of Armando Alonso. Dino pairs with Felix yet again (this time on clarinet) in the mournful “Viernes Santo” for a track that wouldn’t feel at all out of place on an Eleni Karaindrou soundtrack. One of Dino’s best, to be sure. “Milonga (La Puñalada)” is a more dance-like number, which with a shake of the hips and the wag of a finger leads us into “El Camino,” a straight path into the beyond, where the past reigns anew. Dino Saluzzi’s salt-of-the-earth sound enchants, the power of his inspiration all the greater when activating an already fine band of musicians. There can be no room for gimmicks; only song.